The international investors in the Ksh240 billion Tatu City project have won a longstanding shareholding dispute with their Kenyan minority shareholders after all the matters pending in the court of appeal were concluded yesterday (Thursday). 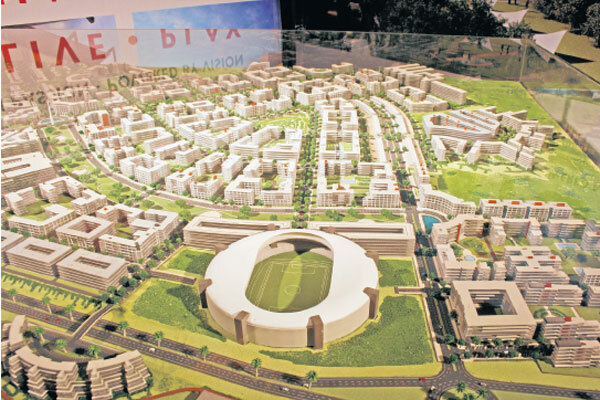 Is it right for foreigners to have majority shares of Tatu City project ? Lawyer Issa Mansour earlier yesterday withdrew the last of the petitions at the Court of Appeal because another Appeal bench had already absolved the foreign directors, led by businessman Stephen Jennings, of an alleged resistance to sanction an audit of the firm’s financial records. Appellate Judges Roselyne Nambuye, Asike-Makhandia and James Otieno-Odek agreed with lawyer Issa that the directors were at liberty to shelve the appeal after the same court invalidated contempt proceedings against them on February 23. Justices Asike-Makhandia, William Ouko and Kathurima M’Inoti had ruled in February that the majority directors Tatu City and Kofinaf Ltd enjoyed exclusive mandate to appoint auditors and there was no evidence that the five investors had willfully disobeyed High Court orders to frustrate the exercise. They had said Commercial Court Judge Francis Tuiyot erred in his ruling on May 4, last year, by attempting to interfere with the internal affairs of the two companies, whose directors have disagreed on the appointment of an audit firm to replace Price water House Coopers (PWC). “We are not convinced that there was evidence to support the assertion that the appellants completely frustrated and scuttled the commencement of the in-depth audit by intimidating PWC. Indeed, the learned Judge himself expressed satisfaction from the correspondence and affidavits before him that there was an attempt by the parties and PWC to agree on the modalities of the in-depth audit. It was, therefore, in error for him to mistake protracted negotiations for a stone-wall,” the three-Judge bench had held. They ruled that the Judge erred in finding that Jennings, Frances Holliday, Pius Ngugi, Frank Mosier and Christopher Barron had deliberately disobeyed court orders issued on June 12, 2015 regarding the appointment of the auditor in accordance with the decision made by the board of directors on January 28, 2015. “That order was directed at PwC to conduct the audit strictly in accordance with company’s board resolution,” the Appellate Judges pointed out. The foreign investors been involved in a protracted legal battle with their Kenyan minority partners, led by former Central Bank of Kenya (CBK) Governor Nahashon Nyagah and industrialist Vimal Shah, over the control and management of the two firms which are undertaking the unique project in Kiambu County. Governor at loggerhead with land developer. Is it corruption? How far can this Youthful team take Kariobangi sharks the CAF CC?